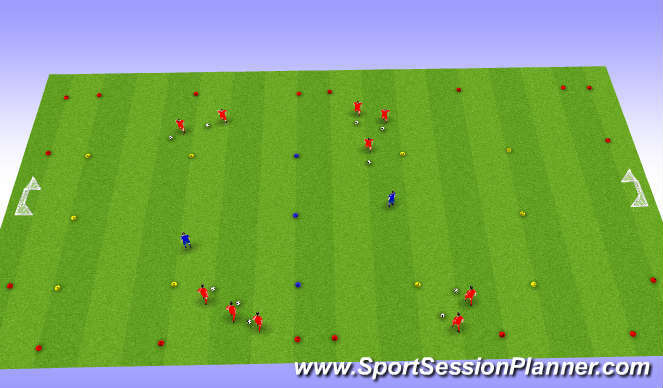 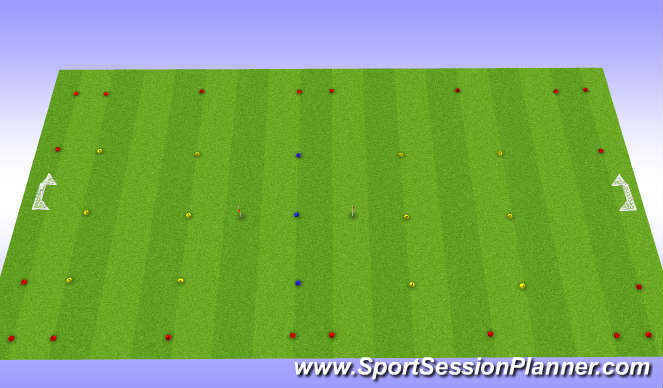 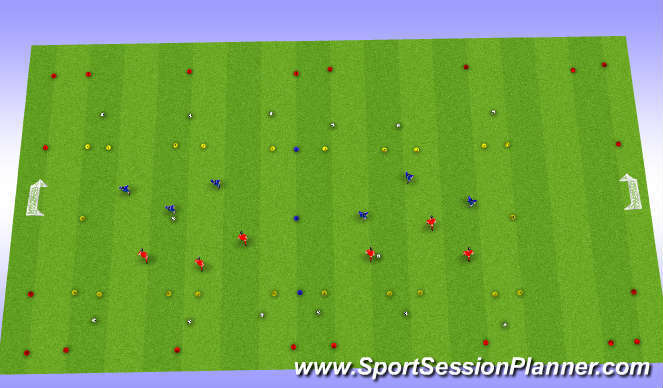 Start by setting up for the last exercise first (orange cones) and working backward from there. 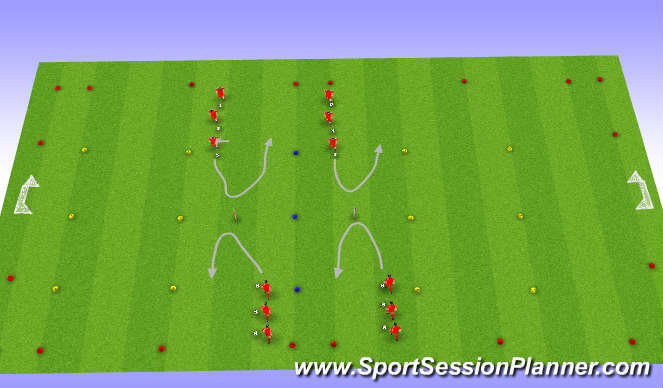 Turns may include: pullback, inside chop, outside chop, stepover turn, Cruyff turn, etc. 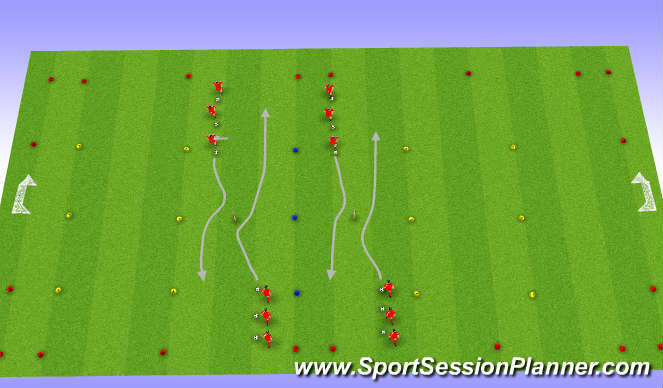 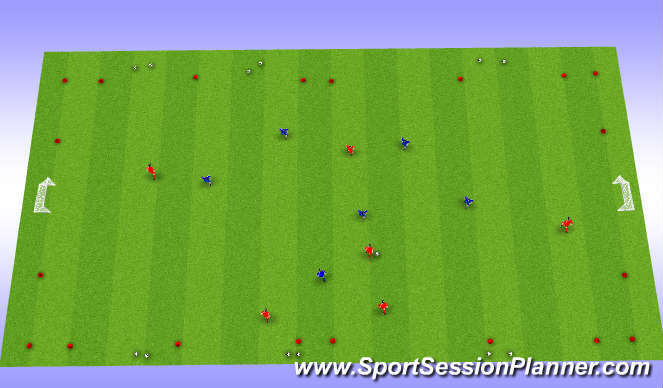 VARIATIONS: add a third or even a fourth defender - allow defenders to move to either grid - have defenders hold a bib in their hands and switch roles with attacker upon winning possession - allow attackers to use both grids - award 1 point for successfully dribbling from one end of the grid to the other, play for 2 minutes and keep score!